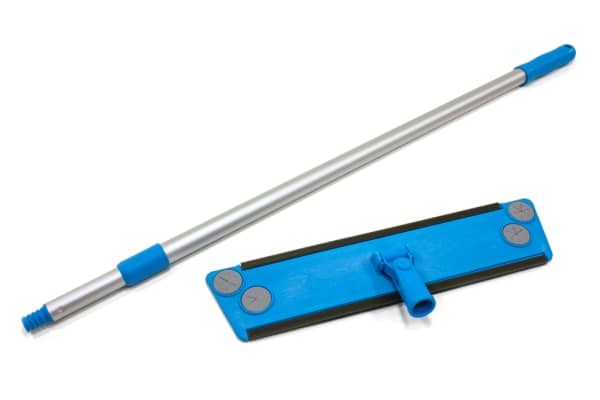 This is the Mop Hardware (mop handles and heads) for the Household Microfiber Mop. It has two Velcro strips that will attach to any of our 18" mop pads. The grey inserts on the corners allow for 16"x16" microfiber towels to be attached to the microfiber flat mop head. The microfiber flat mop is great for both wet and dry mopping. 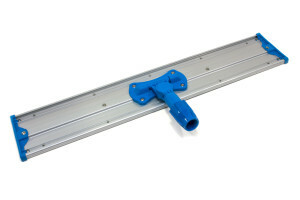 Use the microfiber flat mop on your kitchen floors, tile floors, or hard wood floors. This microfiber floor mop also works great for dusting your ceilings. 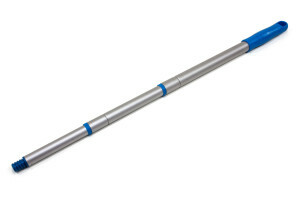 This telescopic mop pole extends to 4.5 feet. 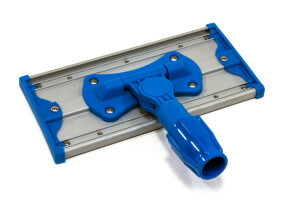 The 16" x 4" microfiber flat mop heads rotate to all angles for cleaning in tight corners and under furniture.